Here is the perfect introduction to contemporary Japanese fiction. 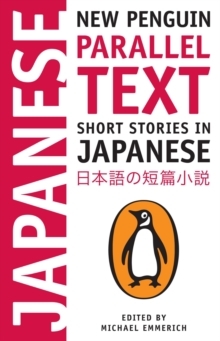 Featuring many stories appearing in English for the first time, this collection, with parallel translations, offers students at all levels the opportunity to enjoy a wide range of contemporary literature without having to constantly consult a dictionary. Richly diverse in themes and styles, the stories are by well-known writers-like Haruki Murakami and Banana Yoshimoto-as well as by emerging voices. Complete with notes, these selections make excellent reading in either language.